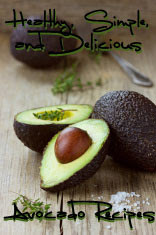 Avocados are healthy and delicious! Looking for healthy, delicious and easy-to-make recipes that kids or husbands can make? Treat everyone to an avocado pineapple smoothie! The drink is a healthy alternative to the dairy, fat, and sugar present in a lot of smoothies. With just two simple ingredients, kids and husbands can quickly whip it up for a power boost in the morning! 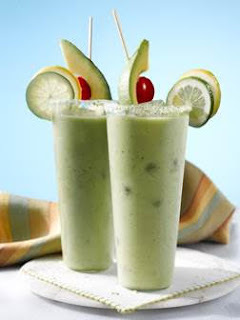 In blender container, combine avocado, pineapple plus its juice and ice; whirl until smooth. Add sweetener of choice if desired. How about a bite of avocado toast? Cut down on saturated fats by replacing boring cream cheese with super ripe and nutrient-packed avocados. The green is so subtle no one will ever know the difference, and the dish can be whipped up in an instant. In a bowl, with a fork coarsely mash avocado; season with salt and pepper to taste. 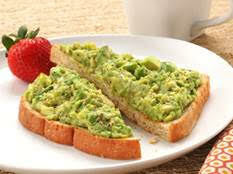 Divide avocado onto toast and spread to cover; cut each slice in half. If using, tuck a piece of bacon into avocado on each toast half or sprinkle tomato over top and serve immediately. Guaca-Mary? You betcha! The invigorating Guaca-Mary combines refreshing ingredients like tomatillos, cucumber, green grapes and even coconut water. Alcohol is optional but we recommend tequila! Mom is sure to love it! Whether you mash them, slice them, smear them or blend them, fresh avocados add a creamy texture to your breakfast and a boost of nutrients including potassium, fiber and vitamins B and E.